Isaac, Theron, Kroll, Midler and More Join In Animated ‘Addams Family’ Voice Cast!!! | Welcome to Moviz Ark! 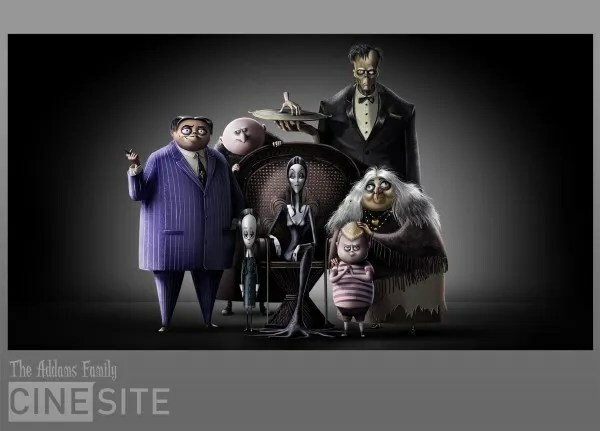 Isaac, Theron, Kroll, Midler and More Join In Animated ‘Addams Family’ Voice Cast!!! MGM has announced the full voice cast for their upcoming animated feature film adaptation of The Addams Family. It was previously revealed that Oscar Isaac would be filling the role of Gomez Addams, and now he’ll be joined by Charlize Theron as Morticia, Chloe Grace Moretz as Wednesday, Finn Wolfhard (Stranger Things) as Pugsley, Nick Kroll as Uncle Fester, Bette Midler as Grandmama, and Allison Janney as the family’s arch nemesis Margaux Needler. Sausage Party directors Conrad Vernon and Greg Tiernan are at the helm of the film, which follows the Addams family as their lives begin to unravel when they face off against a crafty reality TV host while also preparing for the extended family to arrive for a major celebration. Matt Lieberman wrote the screenplay for the new film, which is based on Charles Addams’ iconic cartoon series. This cast is pretty swell, and while a live-action Addams Family movie would’ve been preferable (especially with Isaac and Theron in those lead roles), the ensemble is excellent regardless and I’m curious to see what Vernon and Tiernan do here. The Addams Family was previously adapted into a live-action feature film in 1991 with Raul Julia, Anjelica Huston, and Christopher Lloyd in the lead roles. Barry Sonnenfeld (Men in Black) directed that film and a sequel, Addams Family Values, which still stands as one of the best sequels ever made. The Addams Family will be released in theaters on October 11, 2019. Check out a concept photo of the animated characters below. ← ‘Sharp Objects’: New Trailer Has Amy Adams Revisiting a Dangerous Past!!!! Check It Out! !